This sloppy yet delicious weeknight fix can be yours, too! 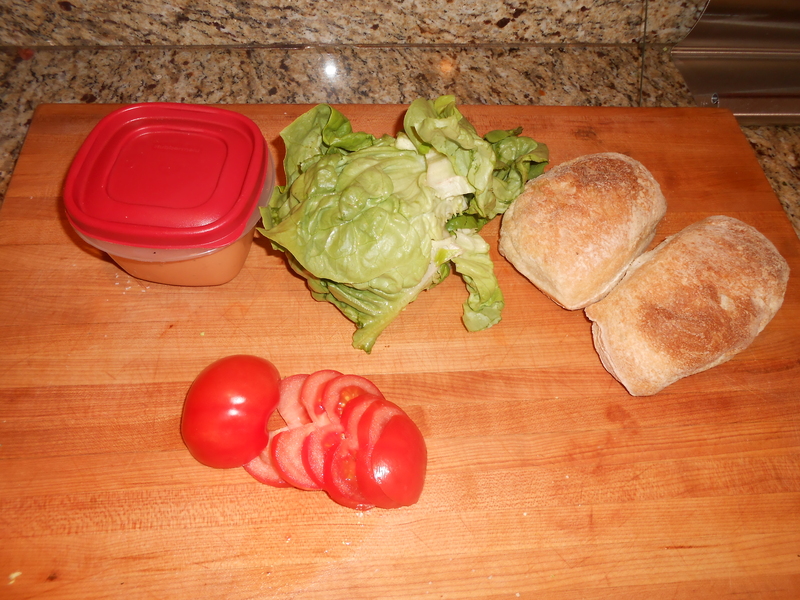 Grilled Chicken sandwiches with roasted tomato vinaigrette (from the other day), butter lettuce, onion, and tomato with a big hit of sriracha. 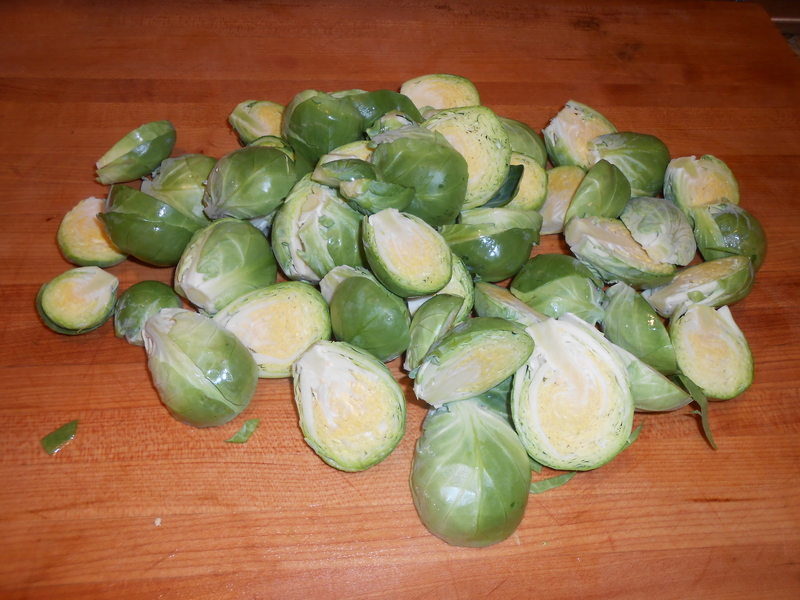 And roasted brussels sprouts- my favorite! This plate tells one big lie though- a huge dollop of dressing ended up next to my sriracha pile for dragging those crispy sprouts through. That could have been dinner alone! Or even an appetizer. Just sayin’. Why do I need quick fixes this week? Ugh. So far I have been knocked down with a hellish cold (the one everyone seems to have gotten? The one where your throat is so sore you think about swallowing and wonder if it is necessary? The one where you go into the grocery store in a daze and get hot and wonder what you are doing there then slog through and get into your car and sit in the front seat and hope you get home ok? That one)…. been to my orthopedist (more on that later this week), been out to get an MRI (again, later this week)… and have gone to the office each day (though because of the stream of doctor’s appointments I have not actually worked a full day). So dinner needed to be fast fast fast fast. And spicy, to clear things out. Mike got some chicken marinating in the morning: buttermilk, paprika, garlic powder, salt, pepper, and some ancho chile powder. We let it sit in the buttermilk all day while we went about our business, and I pulled it out of the fridge when I got home. Then the dog and I cuddled and I tried to rest (death cold)… but that ended with Isaac realllly wanting to play with mamma- so we threw the ball around lazily and found some chew toys and between throwing the ball and letting him out 10,000 times I did some blogging until Mike got home. And he got down to business. I love him. Salt, pepper, olive oil, and a 425 oven for 35 minutes or so, flipping once-ish. I had no idea he cooked the chicken under a brick until I went through the photos. See? I was totally out of it. The basic mechanics are to heat the brick up while one side of the chicken is cooking, then flip the chicken and place the hot brick on it- it speeds the cooking time and results in yummy crust. Just heat the brick slowly and also- please do wrap it in foil! Let the chicken rest for 5 or so minutes before slicing it for the sandwiches. The buttermilk makes chicken breast luscious… something chicken breast in’t usually. Marinating the chicken in buttermilk also creates a super yummy crunchy crust on the chicken (which is skinless, BTW). I could have just eaten all of the chicken right off the board. 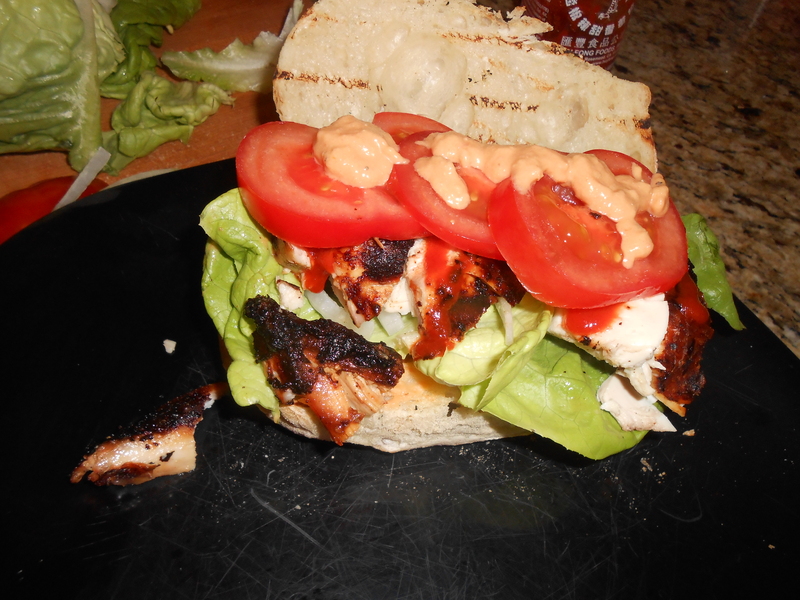 Instead, we did assemble sandwiches- slathering the dressing on one side of a ciabatta bun; layering on butter lettuce, onion slices, tomato, chicken, more dressing and a healthy dose of sriracha. This marinade works for all chicken parts- we really love it for drumsticks also! 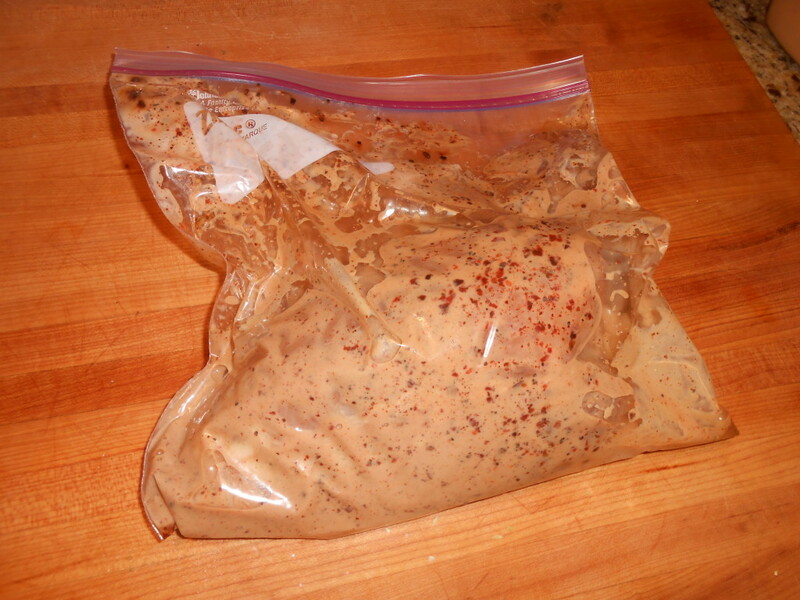 In the morning: Place chicken and all marinade ingredients into a gallon re-seal-able bag. Marinade for at least an hour or up to overnight/all day. Remove chicken from marinade, do not dry or wipe off (this is the crust!). Sprinkle with a little bit of additional salt and pepper. Heat the grill to medium high. 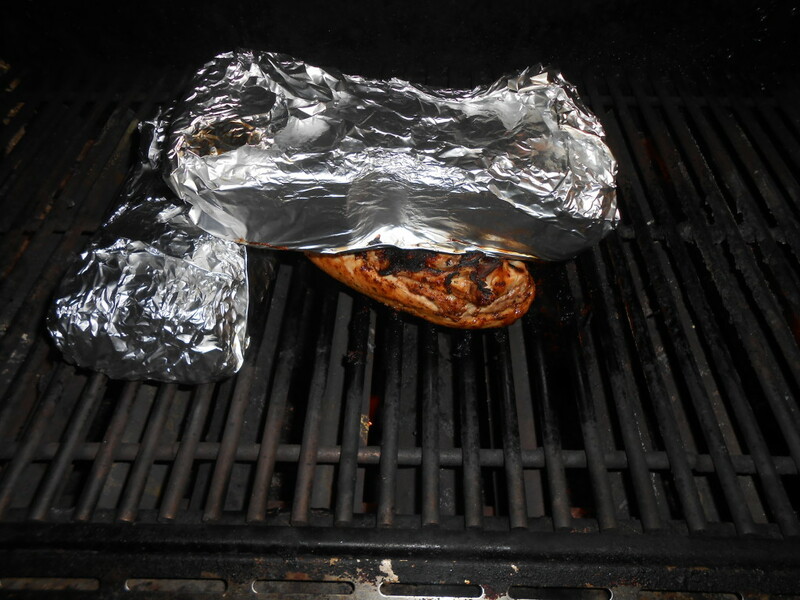 Optional: wrap a brick or two in aluminum foil, heat while grill is heating. Place the chicken over medium -high heat. 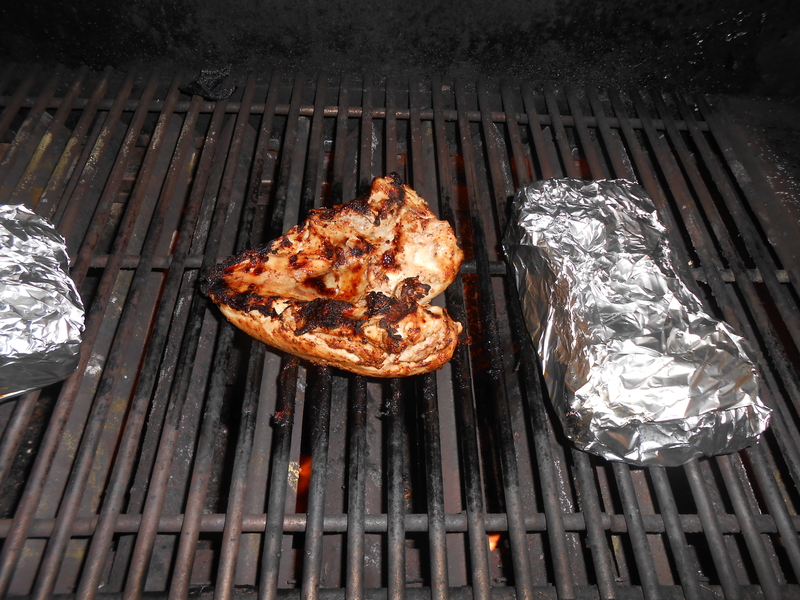 Grill for 10-15 minutes on one side before flipping and placing the brick (using tongs/oven mitts) over the chicken. Turn the grill down if the chicken burns quickly- or move it to a cooler part of the grill. Insert an instant read thermometer into the thickest part of the chicken breast and grill until it reaches an internal temperature of 155. 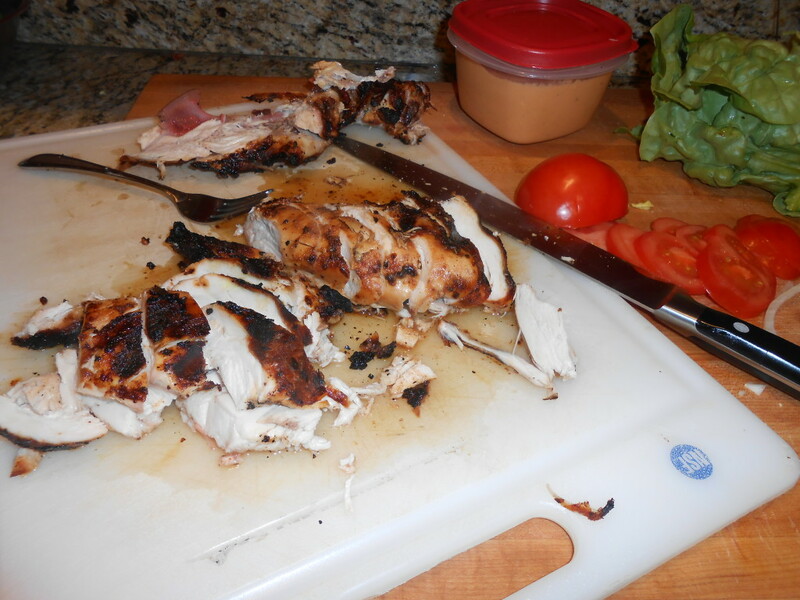 Remove the chicken from the grill (on a clean plate) and allow to rest for 5-10 minutes before slicing. Enjoy with your favorite sauce, in sandwiches, on salads, etc! We make this chicken OFTEN and use it for everything. All year long you can find bags of chicken marinating in the fridge, ready for jerk sauce, bbq sauce, tacos, etc. The buttermilk really makes the chicken juicy- so if you over cook a little bit- it’s not the end of the world. ANYHOW… me and my dayquil/nyquil brain are now focused on tomorrow- MRI results day. Let’s all hope his injury is a big nothing, mmmkay? 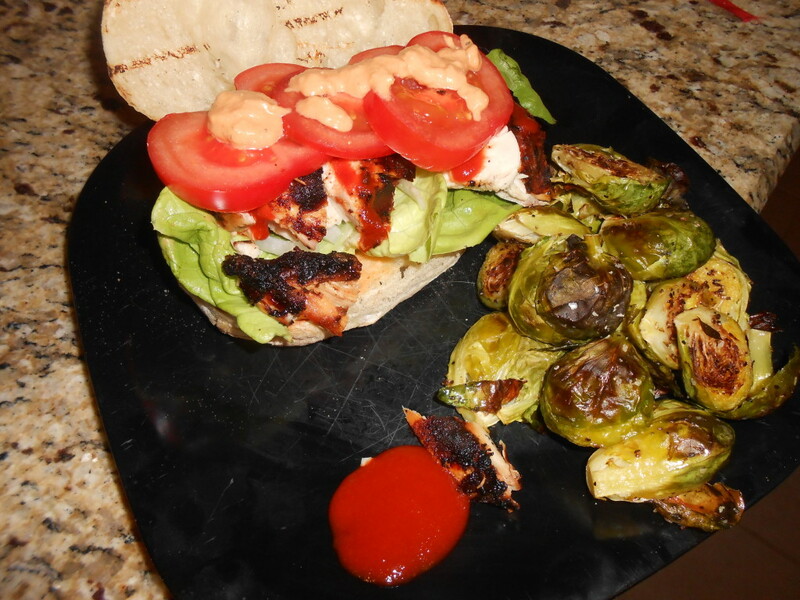 This entry was posted in Physical Therapy/Injury Treatment, Recipes and tagged buttermilk, grilled chicken, grilled chicken sandwiches, leftovers. Bookmark the permalink. 6 Responses to Thank Goodness for Easy Dinners! It’s true. I witnessed a bag of raw chicken in the fridge tonight when I was putting the cheese noms away. I’ll have to employ this buttermilk trick. You managed to post a great entry today in spite of how ill you are feeling. Have to try this marinade! Hope the MRI shows nothing! This looks awesome…I badly miss my grill( it is under sixteen feet of snow) and can’t wait to use it. Feel better! I’m keeping my fingers and toes crossed for you for MRI results tomorrow!!! Thinking of you and that MRI! Love this dinner, too. 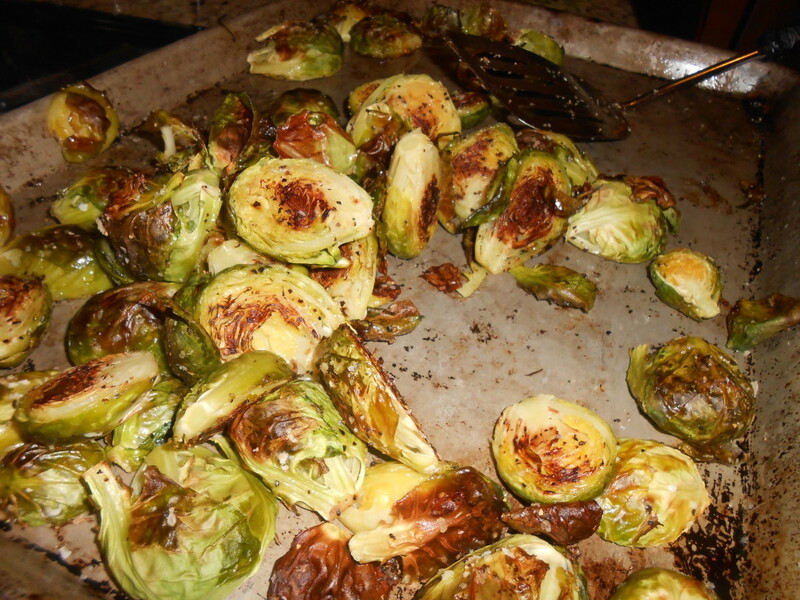 I can’t wait to do it, roasted veggies and all, for the three of us at 8 Old Dimon Road! I’m going to have to try the buttermilk marinade! And good luck on your results tomorrow crossing my fingers for you!